Although most of us are likely to think of Judy Garland and the epic film of the Wizard of Oz, the original story "The Wonderful Wizard of Oz" was published in 1900 by L Frank Baum. Luckily for lovers of free Wizard of Oz clip art, this means that the images from the original book are now in the public domain, which opens up even more possibilities for your creative Oz projects. The top 10 collections on the web either from the book, film, or newly created images are featured below, along with sample images and details of what other clip art you can expect to find. At the end of the article you will find the all important links you'll need to get your hands on these amazing Wizardy pics. Philip Martin is a superb designer that offers free clip art on his site aimed at children, to be used by teachers and parents for a non profit use. 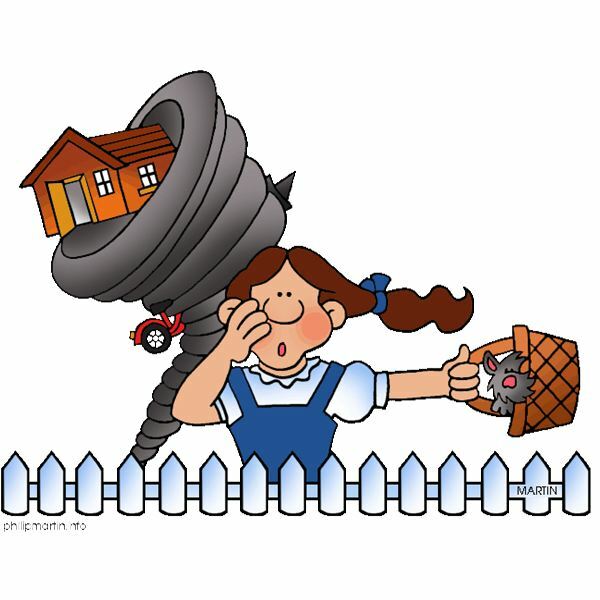 Therefore the majority of the images you will find on this site are education related, but there is a superb cartoon image of Dorothy with the tornado swirling around behind her, as she clings to a basket with Toto inside. Such a fun image, of high quality it's well worth visiting the site for this image alone. This collection is all about the scarecrow. The pick of the collection is pictured to the left, and all of the images on this Clker site are black & white images, yet highly detailed. 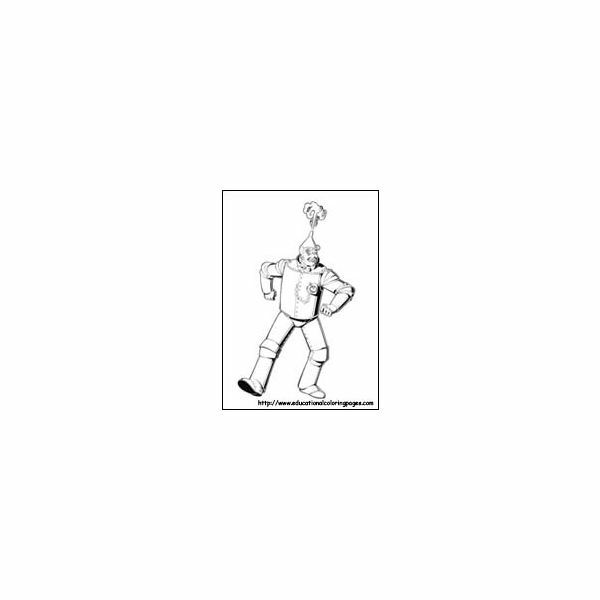 Using the link at the end of the article will take you to this image first, but page down for some more great scarecrow clip art. This would make a wonderful addition to an introduction page in a child's project on Wizard of Oz. For those of you familiar with Flickr, Clker is a similar deal only it's dedicated to clip art images rather than photographs – anyone can upload their own images and anyone can use the images for free, providing credit is given. The detailed images offered here are reproduced from the original book, so although wonderfully detailed, still retain a certain vintage appeal. 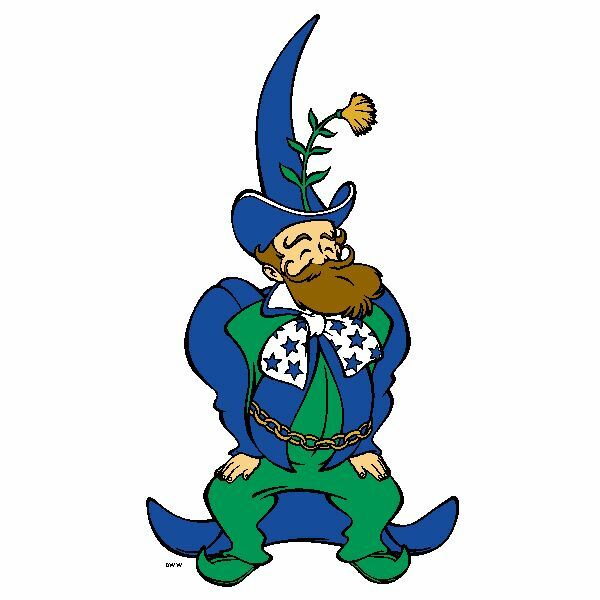 As well as this cowardly lion clip art image, there is also another striking image of the tin man with a red and green background. Because the copyright to the book and images are now in the public domain, you can use these wonderful Oz pics with a clear conscience. The basis for the images in this collection have actually been taken from coloring pages, and expertly colored to bring a great range of Wizard of Oz cartoon images. You can find almost all characters from the film here, from the Munchkins to the flying monkeys, to Dorothy and of course the Wicked Witches. Really vibrant images that would be well used at a costume, or Wizard of Oz themed, party. 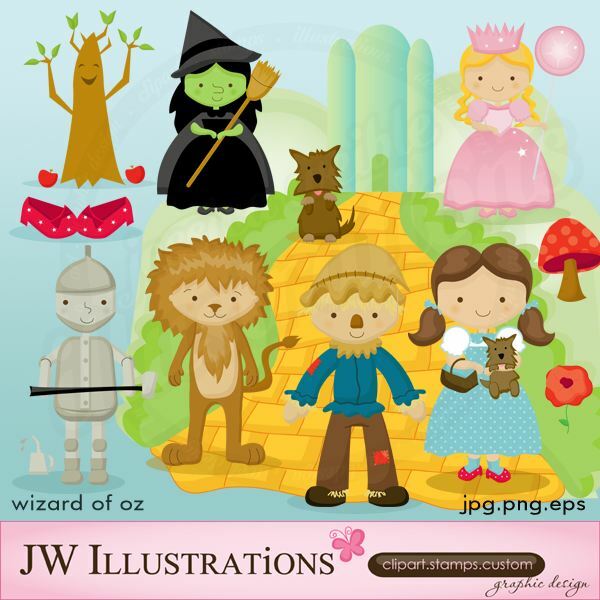 A truly stunning and original collection of free Wizard of Oz clip art images, that have been designed for ease of use when digital scrapbooking, but can be used for any purpose from website design, to helping in your kids projects. This collection is offered for the low price of $5.00 which is pretty reasonable when you consider what you're getting and the quality of the design. This clip art collection contains 12 graphics, including all the main characters as well as the ruby slippers, the yellow brick road, toadstools, and a grinning apple tree. Why not twin these amazing images with one of our free digital scrapbook papers? Image courtesy of Jessica Weible. 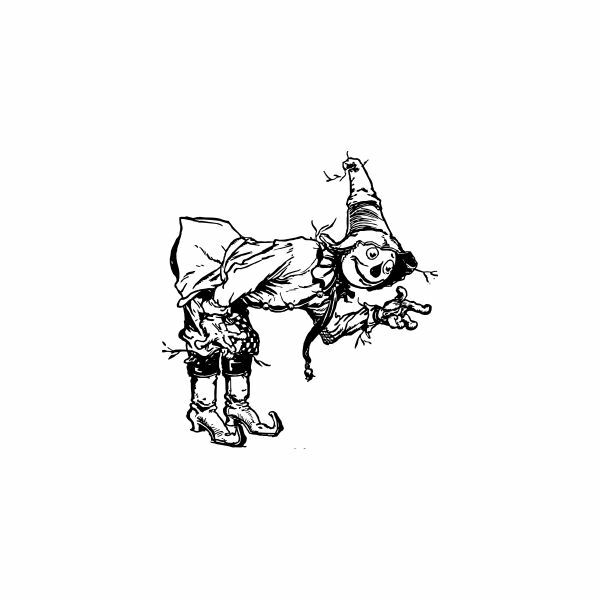 The Piddix store at Etsy offers some great alternative and vintage-style digital downloads in their range, including a couple of highly original Wizard of Oz image collections. The cost of this digital collage pictured, is just $3, so not quite free, but a great buy nonetheless. As well as this collage, there is also a sheet of vintage images from the original book. 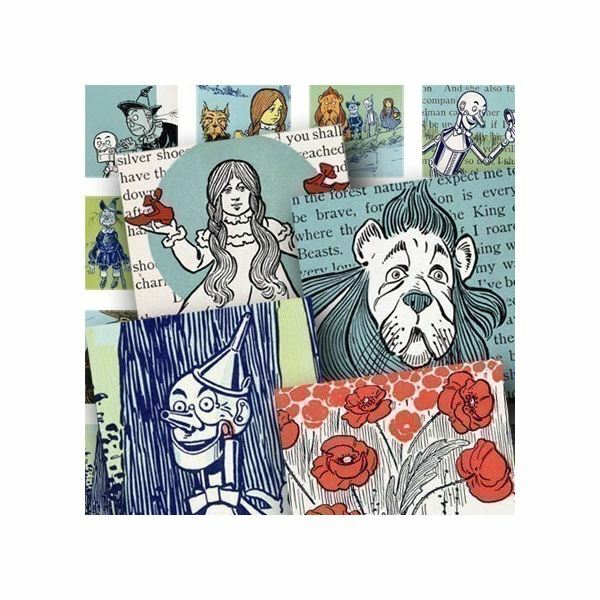 Obviously aimed at digital scrapbookers, and lovers of "print as required" elements for making card with a Wizard of Oz theme, these images can be used again and again, no matter what your project. Another great collection of Oz clip art taken from the Wonderful Wizard of Oz book. As well as the original copyrighted book cover (now in the public domain), there are some wonderfully detailed black & white sketches, and a good number of full color images from the book too. 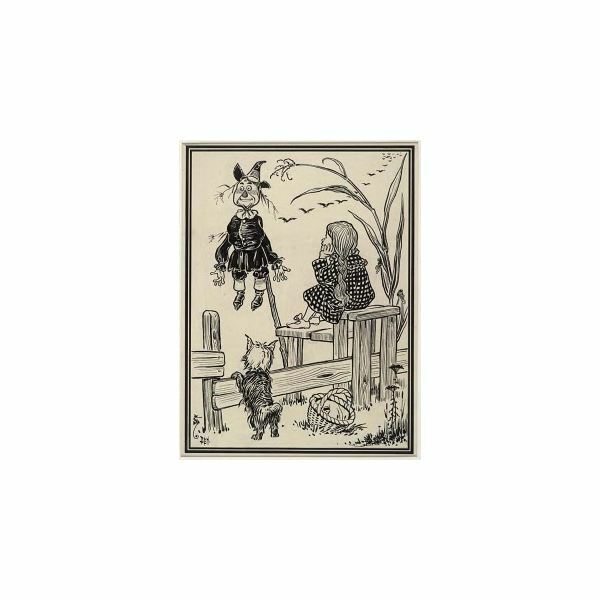 The black & white images are so detailed you could even utilize them as wall art, or give to a child to color in. For some Wizard of Oz image clip art with a difference, why not check out this collection of maps of Oz? There are currently seven different Oz map editions, which would be great for so many different projects, from using it as a background paper in scrapbooking, to creating your own mini Oz. If you are holding a costume party this Halloween, then use one of the map images in the Halloween invitations next to the address or directions to the party venue. 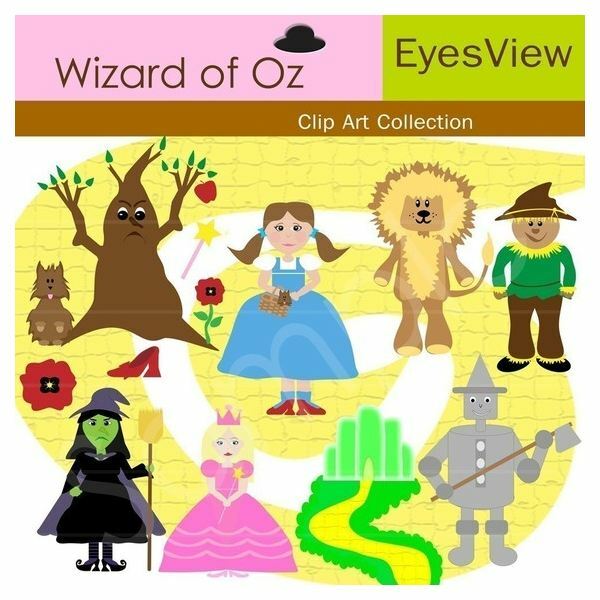 This digital collection of Wizard of Oz image clip art embellishments are made available through the designer's store on Etsy for a highly reasonable six dollars. The collection consists of 17 images (not all pictured), for digital scrapbooking and to use on other papercrafts, to be printed as and when you need them. Dorothy, The Wicked Witch of the West, the Nice Witch, and Toto are all included as well as the other main characters and background elements like ruby slippers, the Emerald City, poppies, apple, and the apple tree. Images are provided in high quality png format, but alternative formats are available. No Wizard of Oz birthday party would be complete without some coloring pages to keep the little ones happy. The educational coloring pages website, offers many Wizard of Oz image coloring pages on all sorts of themes, including many films. 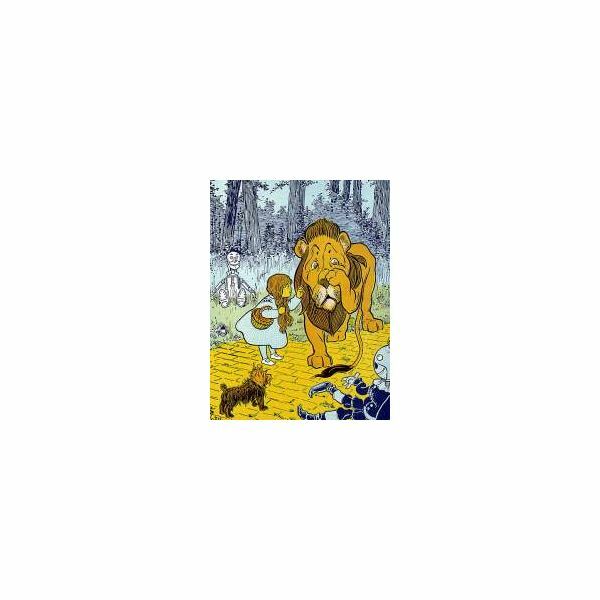 There are 10 pages in the Wizard of Oz collection, so print out a selection and let the kids choose, or put a few sheets in each party bag for them to take home. 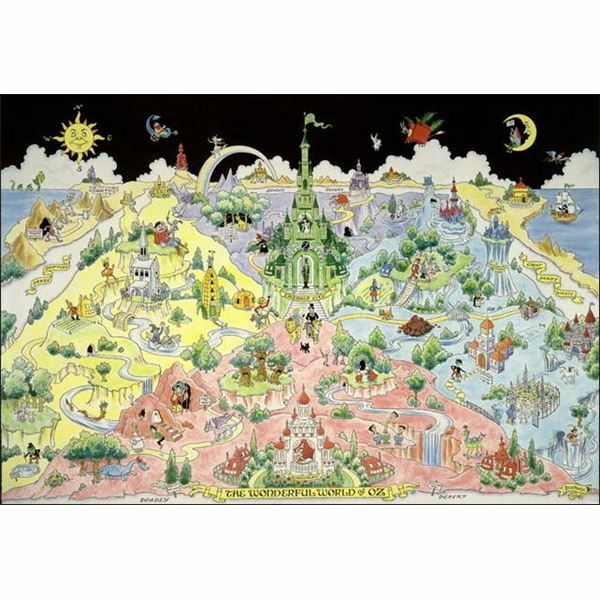 The main characters are covered as well as a couple of flying monkey sheets, and Toto with a picnic basket.